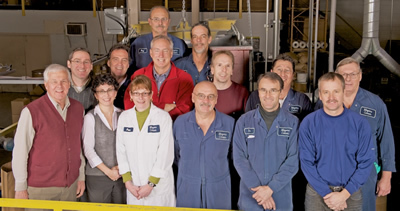 Meyers Colour is a Canadian-owned, privately held company that has been in business since 1971. We’re located in Burlington, Ontario. We offer a comprehensive in-house quality assurance program including electronic colour evaluation and accelerated fade testing. Meyers Colour is a leading supplier to many areas of the plastics manufacturing industry including agriculture, food packaging, housewares, shipping containers, wire and cable, furnishings and wall coverings, construction and plastic pipe.